Today, we are lucky to have a vaccine which is 62 percent successful. Curtis Allen explains that part of the reason the vaccine is not 100 percent successful is because the flu vaccine actually has to be developed anew each year as influenza strains are constantly changing. 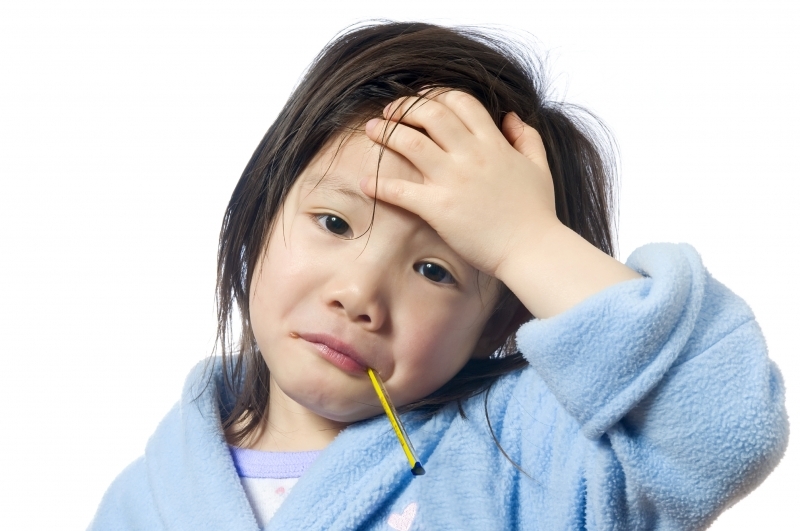 “One thing about influenza is that it is notoriously unpredictable. When selecting antigens to include in the vaccine, it’s like trying to predict the weather a year out,” says Allen. He goes on to explain that only three antigens can be selected for the vaccine. Projections are pretty accurate, and there was a good match this year as far which antigens were selected. However, this year we also see a fourth strain that researchers anticipated but could not include in the vaccine. About 90 percent of the cases we see this year are influenza strains that were included in the vaccine and 10 percent of the cases are from the fourth strain that was not included in the vaccine. There is ongoing research aiming to develop a way to include four strains in the influenza vaccine. The ancients had no way of predicting these changes and developing a vaccine. Isolation and prayer were the only forms of prevention. The plague in these early civilizations spread fastest in urban centers, military camps and trading cities. Christine A. Smith writes in “Plague in the Ancient World: A Study from Thucydides to Justinian” that ancient cities became paralyzed by the plague, and the illness in military camps and subsequent deaths could have drastically reduced the ranks and played a part in the demise of the Greek and Roman Empires. The catastrophic effects of the plague on the population also produced the unraveling of the social and political order. The longer the plague continued, the more despairing people became about society and the government’s ability to stem the tide of destruction. If you currently have symptoms of the modern flu, which you can find on the flu.gov website, seek medical attention. Microscopic and replicating rapidly, viruses pack a punch, whether in 2013 or 430 BCE. And remember, despite your pounding head, aching body, stuffy nose and intestinal meanderings, be grateful for vaccines and modern treatment. Stay tuned to the AntiquityNOW blog for upcoming articles discussing the sociological and political consequences of plagues, as well as plague and the arts. 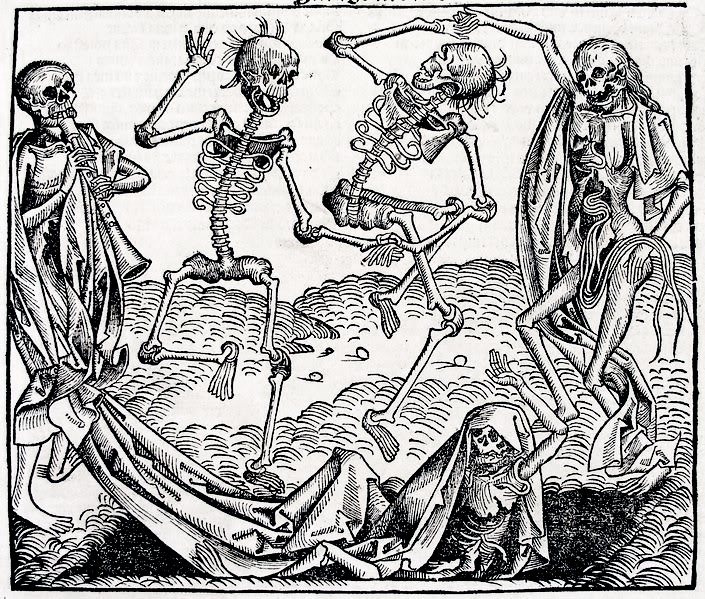 For example, Michael Wolgemut’s Dance of Death from 1493 illustrates how the plague was a scourge for centuries and one of the reasons death became a common theme in art. 1. Procopius, History of the Wars (The Persian War) II, 23, 1 quoted in Christine A. Smith, “Plague in the Ancient World: A Study from Thucydides to Justinian,” Loyola University Student Historical Journal, 1996. 2.”More states reporting high flu levels,” CNN, January 18, 2013. 3.Christine A. Smith, “Plague in the Ancient World: A Study from Thucydides to Justinian,” Loyola University Student Historical Journal, 1996. 4. Thucydides, History of the Peloponnesian War II, 49, quoted in Christine A. Smith, “Plague in the Ancient World: A Study from Thucydides to Justinian,” Loyola University Student Historical Journal, 1996. This entry was posted in Biology, Blog, Healing Arts, Public Life, Science and Technology and tagged ancient history, AntiquityNOW, Athenian plague, CDC, history, influenza, Justinian plague. Bookmark the permalink.